2. ESET ESET NOD32 Antivirus – 1U Specifications of eset ESET NOD32 Antivirus – 1U 455 "
3. ESET ESET Smart Security – 5U Specifications of eset ESET Smart Security – 5U SI Pack 1998 "
4. ESET Eset NOD32(10 PC / 1Yr) Specifications of Eset NOD32 ANTIVIRUS VERSION 9 (10 PC / 1 YEAR) 1810 "
5. ESET ESET Smart Security – 1U Specifications of eset ESET Smart Security – 1U 565 "
7. MICROSOFT WINDOWS 8.1 PRO MICROSOFT WINDOWS 8.1 PROFESSIONAL 64-BIT OEM 8700 "
8. MICROSOFT WIN 10 FPP WINDOWS 10 PROFESSIONAL FPP 10500 "
9. MICROSOFT WIN 10 FPP HOME WINDOWS 10 HOME FPP 7000 "
11. K7 K7 premium 1 pc 1 year 205 "
12. Quick heal Guardian 1pc 1 yr 220 "
14. BUSY Basic Double user Basic Double user at 10% discount. 11300 "
15. Adobe Adobe Creative Cloud for Team Adobe Creative Cloud for Team All Apps ( Photoshop, Indesign, Dreamwever, etc).. 59200 "
16. Microsoft Windows 10 Pro Windows 10 Pro.. 11500 "
17. Adobe Adobe Dreamweaver Adobe Dreamweaver 2017 CC.. 24900 "
18. Adobe Adobe Photoshop CC Adobe Photoshop CC 2017 24900 "
19. MICROSOFT Visual Studio Professional 2017 Visual Studio Professional 2017.. 31500 "
20. TALLY Tally.ERP 9 Silver South Asia	 Tally.ERP 9 Silver South Asia.. 19400 "
21. Tally Tally.ERP 9 Gold South Asia Tally.ERP 9 Gold South Asia.. 64600 "
22. BUSY BASIC SINGLE USER BASIC SINGLE USER at 10% discount, free home delivery.. 6800 "
23. MICROSOFT SQL Server STD 2016 SQL Server STD 2016 . 57019 "
25. BUSY BS-17 BUSY BASIC EDITION GST READY SINGLE USER 6000 "
26. BUSY SS 17 BUSY SS17 STANDARD EDITION SINGLE USER GST READY 11000 "
29. MICROSOFT WINDOW 10 PRO MICROSOFT WINDOWS 10 PROFESSIONAL 64-BIT OEM 8900 "
31. BUSY ENTERPRISE MULTI USER GST READY ACCOUNTING SOFTWARE BUSY ENTERPRISE EDITION MULTI USER 49500 "
32. BUSY STANDARD MULTI USER GST READY ACCOUNTING SOFTWARE BUSY STANDARD EDITION MULTI USER 33750 "
33. BUSY ENTERPRISE GST READY ACCOUNTING SOFTWARE BUSY ENTERPRISE EDITION SINGLE USER 19800 "
34. BUSY STANDARD GST READY ACCOUNTING SOFTWARE BUSY STANDARD EDITION SINGLE USER 13500 "
35. BUSY BASIC GST READY ACCOUNTING SOFTWARE BUSY BASIC EDITION SINGLE USER 7000 "
37. KASPERSKY ANTIVIRUS KASPERSKY ANTIVIRUS 1U 240 "
40. Microsoft OS MS WIN 10 PRO 32/64 BIT FPP MS WIN 10 PRO 32/64 BIT FPP 12500 "
41. Microsoft OS MS WIN 10 HOME 32/64 BIT FPP MS WIN 10 HOME 32/64 BIT FPP 7350 "
42. Microsoft OS MS WIN 10 PRO 64 BIT MS WIN 10 PRO 64 BIT 10500 "
43. MS Office MS OFFICE HOME MS OFFICE HOME 14050 "
44. MS Office MS Office Home MS Office Home 5950 "
45. MS Office MS OFFICE HOME MS OFFICE HOME 13750 "
46. Microsoft Office Office 365 Home Premium education Office 365 Home Premium education 4550 "
47. Microsoft Office Office 365 Personal education Office 365 Personal education 3550 "
48. Microsoft OS MS WIN 8.1 PRO COEM 32 BIT MS WIN 8.1 PRO COEM 32 BIT 10250 "
49. Microsoft OS MS WIN 8.1 PRO COEM 64 BIT MS WIN 8.1 PRO COEM 64 BIT 10250 "
50. Microsoft OS MS WIN 8.1 SL COEM 32 BIT MS WIN 8.1 SL COEM 32 BIT 0 "
51. Microsoft OS WIN 7 ULTIMATE 32 BIT WIN 7 ULTIMATE 32 BIT 0 "
52. Microsoft OS MS WIN 7 PRO 64 BIT MS WIN 7 PRO 64 BIT 0 "
55. Kaspersky Kaspersky Internet Security 2015 for 3 PC 1700 "
56. Quick Heal Quick Heal Anti Virus 2015 - 3 Users for 1 Year 700 "
57. K7 K7 Ultimate Security Gold 1750 "
58. K7 K7 Antivirus 2015 for 1 PC and 1 Year 340 "
59. Eset Eset Nod32 Anti Virus 2015 for 1 PC and 1 Year 250 "
60. Bitdefender Bitdefender Total Security 2015 for 1 PC and 1 Year 650 "
Software are integral part of an automation system, a computer system is helpless without an OS and software running in it. So software is equally important as the hardware. We may need various type of software according to our need and requirement, so can find accurate information on all software information here. 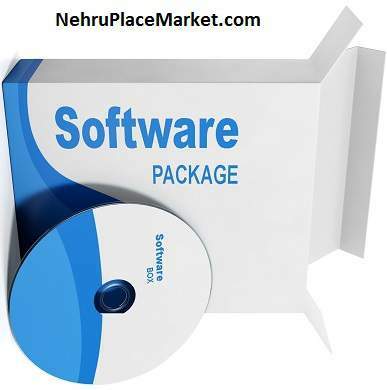 Your search for all type of software must have ended here with detailed prices of software by Cost to Cost and other main dealers of Nehru Place are shown above in table.